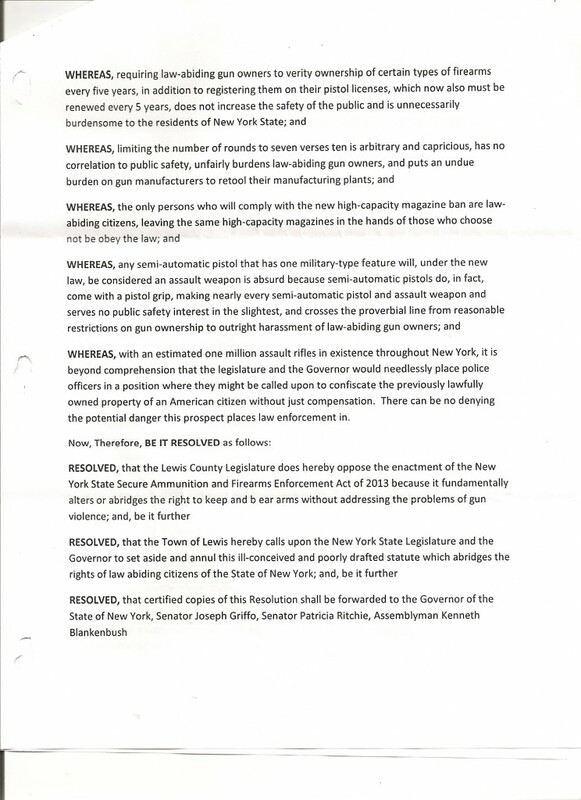 The Town of Lewis passed the following resolution calling for the repeal of the NY SAFE act. 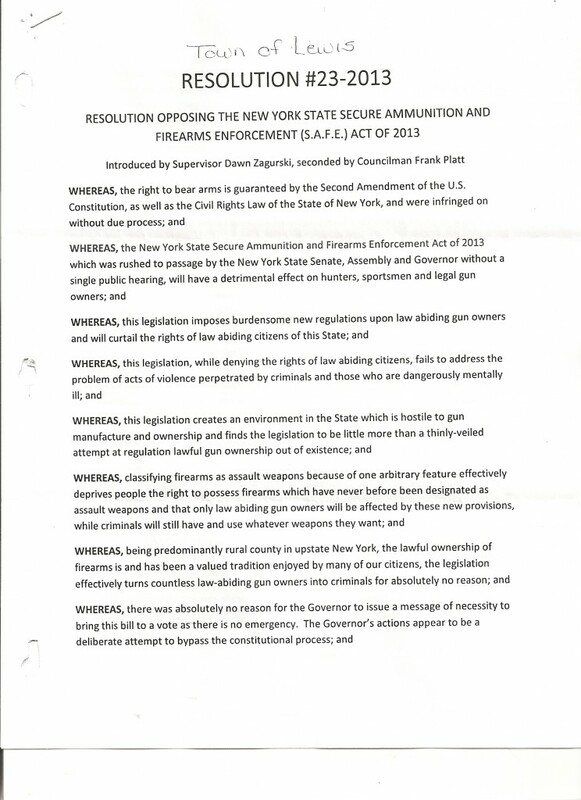 This entry was posted in County Seal, Resolutions, Resolutions opposing and tagged Passed, TownOfLewis. Bookmark the permalink.